LONDON — British officials announced Wednesday that they have charged two alleged Russian military intelligence agents with the nerve agent poisoning of ex-spy Sergei Skripal and his daughter Yulia in the English city of Salisbury — though they held out little hope of being able to bring them to justice. 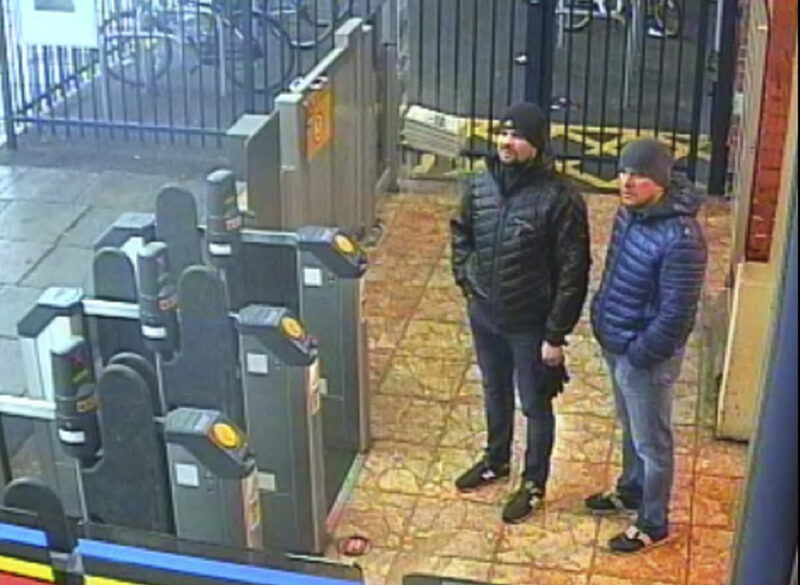 The Crown Prosecution Service said the men, who entered the U.K. under the names Alexander Petrov and Ruslan Boshirov, are being charged in absentia with conspiracy to murder, attempted murder and use of the nerve agent Novichok. Prime Minister Theresa May told lawmakers that British intelligence services have concluded the two men were officers of Russia’s GRU military intelligence service. Russia denies involvement in the attack on Sergei Skripal — a former Russian agent who had been convicted in his homeland of spying for Britain — and his daughter. Sue Hemming of the Crown Prosecution Service said the U.K. would not ask Moscow to extradite the men because Russian law forbids extradition of the country’s citizens. Britain has issued domestic and European arrest warrants for the suspects, meaning they can be detained if they leave Russia for another European country. But assistant commissioner Neil Basu, head of counterterrorism at London’s Metropolitan Police, conceded it was “very, very unlikely” police would be in a position to arrest them any time soon. The Skripals were found collapsed on a bench in the cathedral city of Salisbury, 90 miles southwest of London. They spent weeks hospitalized in critical condition and are now recovering in a secret location for their own protection. British authorities and the international chemical weapons watchdog say the Skripals were exposed to Novichok, a type of military-grade nerve agent developed by the Soviet Union during the Cold War. Britain blames the Russian government for the attack, a claim Moscow denies. The poisoning ignited a diplomatic confrontation in which hundreds of envoys were expelled by both Russia and Western nations.